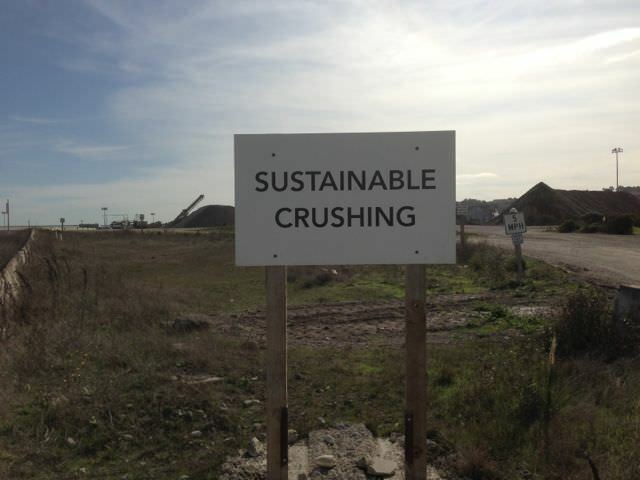 Below is Recology’s Sustainable Crushing, another green facility that Tamate landscaping utilizes. This operation is only known to tradesman, and is hidden in the Bayview. Heres the only sign they have, no address or phone number. 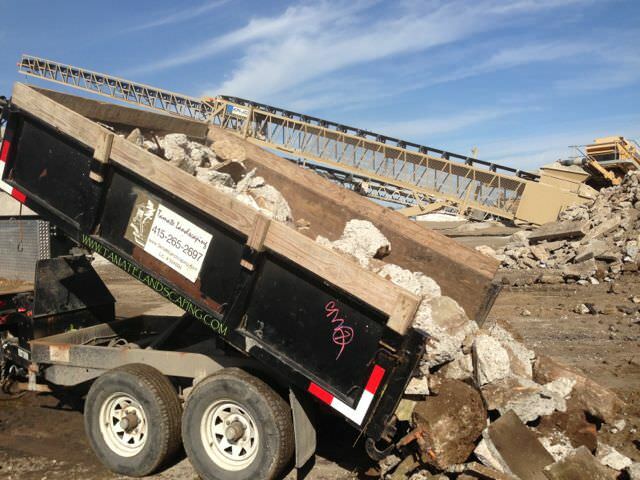 They crush and recycle concrete and sell it back to contractors and concrete mixing companies. Here we are dumping our load. In the background is the conveyor for the massive crushing machine.